At the Cathedral, the Rector regularly seeks advice and counsel from several councils and committees, some of which are designated as leadership councils. The leadership councils provide advice and counsel regarding three main areas of parish life: pastoral areas, financial matters, and liturgical issues. Thus, the three main leadership councils are the Pastoral Council, the Finance Council, and the Liturgy Council. All councils and committees welcome input from parishioners on issues identified or suggestions for improvements in the way we as a parish are growing and providing services. 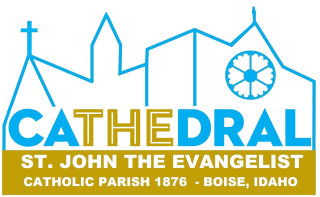 The Finance Council is a collaborative body of the Christian faithful, working with the pastor in the administration of financial matters of the parish. The Liturgy Council is a group of parishioners and clergy that plan our liturgies and formulate policies and procedures to recommend to the Rector, to enhance our beautiful liturgies. These groups of parishioners for advisory bodies to help the staff and clergy better serve our parishioners. This group gathers to review adult formation materials and provide ideas and suggestions for forming the faith of adults. The ambassador team contacts new registered parishioners, and then tries to facilitate a second connection with a potential ministry of interest, or an upcoming social event, etc. Thanks to the members of this ministry we’re able to make an effort to better welcome our newcomers! This group gathers once a month to plan activities within the Spanish speaking community and provide advice and ideas to staff and clergy on growing and expanding this ministry. Three to four times a year the leaders of all ministries in the parish gather with the rector to learn from each other, provide input and form themselves as better leaders. This Council looks at ways to develop time, talent and treasure among parishioners to help our parish grow. This ministry aims to support a safe and secure environment for parishioners to worship and parish staff to serve. It consists of volunteers who are willing to step up and serve as a first responder in the event of an incident at a parish event. Some training is required to deal with specific situations, but it’s worthwhile as it helps to maintain a safe environment for all.